Groups are a method of sharing common configuration options with multiple user accounts. Configuring a group is just like configuring a user account. Virtually every configuration option available for group can be set at the user level. 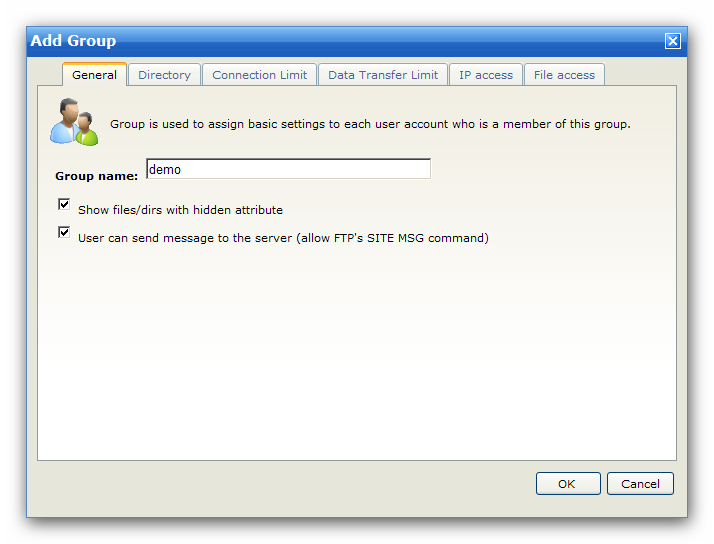 In order for a user to inherit a group's settings, it must be a member of the group. Permissions and attributes inherited by a user through group membership can still be overridden at the User level. User can be a member of multiple groups in order to acquire multiple collections of permissions, such as directory or IP access rules.